A basement makeover is a great way to increase the actual and perceived values of your home when getting ready to sell the property. A functional basement is a huge buyer-pleaser and many families will not even consider homes which do not make the most of their below-grade space. Luckily, most basement staging methods do not need to be expensive and can bring about a whole new level of attractiveness to your home with a small investment of time and money. This essay examines many easy solutions for common basement problems and also addresses how basement space should be staged when selling any home. Family rooms are great when located in the basement, especially in homes with above ground formal living rooms. Playrooms are rarely great additions to a home staging plan, but can be included in homes that have every other use already well covered in the layout design. Man caves can be appealing to certain buyer demographics, although these spaces can also be liabilities in some circumstances. Home office staging is one of the best uses for made-over basement space. Home gym staging can create a great workout room in the lowest level of the home. Do not waste a finished basement by simply marketing it as extra storage space. This is a real poor application for valuable and functional space. Consider installing a pre-fabricated basement finishing system for a moderate cost fix and a fantastic result. At the very least, paint the walls, ceiling and the floor. Adding drywall to finish areas is an easy and inexpensive solution which makes a great DIY staging project. Stage the room as the space allows. If possible, setting it up as a potential rental apartment or professional office space might be ideal for most markets. Do not let your basement space go to waste. Most basements are large and can be made very functional with little more than a bit of time and sweat equity. Rarely does a basement require a serious investment of money. However, if the space is really that bad, professionally finishing it is certainly a smart choice, since the aesthetic liability of the present environment is likely to be an impediment to any sale. 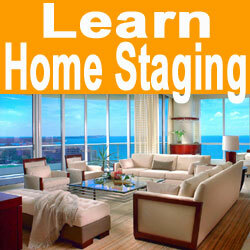 To learn more about staging your basement to sell, consult with a qualified home staging professional today.